As summer continues to roll out its succession of uncharacteristically sunny days, it can sometimes become difficult to tell them apart. With every day starting with a tropical journey on the Central Line and ending with you wondering why you haven’t invested in a summer duvet yet, how exactly are you meant to distinguish between one day and the next? Thankfully, as an office of voracious readers, we’re able to keep track of our days based on our ever-growing, never-shrinking TBR piles. 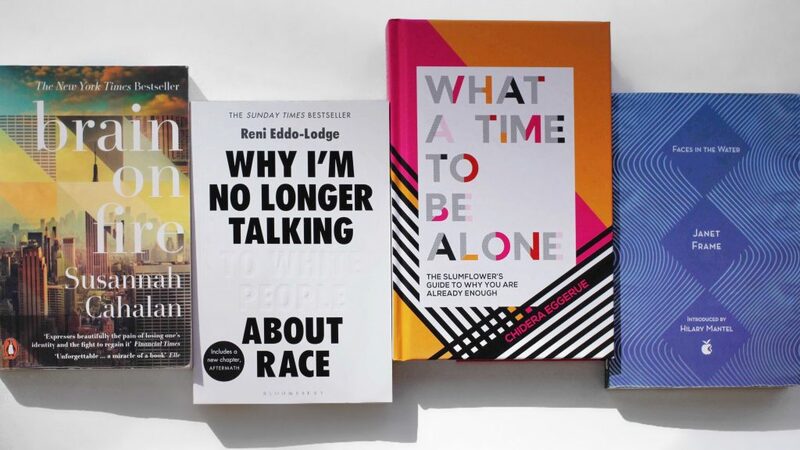 We thought we’d give you a run-down of what the Agora team have been reading recently, and hopefully help you find your next favourite summer book. This book has a gorgeous, wistful cover and every page lives up to the visual hype. There’s now approx. 150 photos on my phone of underlined passages perfectly describing North London, love and not-quite-love as a young woman, the lovely and the disastrous nature of being a young woman in the 2010s, mother-daughter relationships, the idealisation of inevitably imperfect pasts, mediocrity and the fear thereof… it’s beautiful, I stole a proof from one of my authors and after pressing into the hands of more than one person I’ve lost track of it entirely, as you always should with the best books. 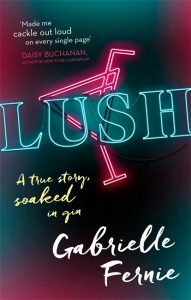 If you’re getting to that point in your summer where the thought of another glass of rosé makes you want to retreat to a quiet, temperature-controlled room and yet by 7pm you’re finding yourself happily seated on the pavement outside a pub… Get yourself a copy of Lush and know you’re not alone. I guarantee you’ll snort-laugh in public at least once. I am a huge Rachel Kushner fangirl- I’ve forced most people I know to read The Flamethrowers and then have really intense discussions about it with me immediately afterwards… and so I’ve fallen in to that awkward trap of too-eagerly awaiting her next book and then being too afraid to begin because I know exactly how much I’ll like it and then exactly how long I’ll have to wait for another. But it’s coming with me on a London to Australia flight next week and I’m now actually looking forward to 24 hours in a small, upright chair. Because who doesn’t want to read about a rare and terrifying form of brain fever during a heatwave? Yes, I was shamed by Netflix’s adaptation to finally read this. (No, I have not watched the adaptation.) 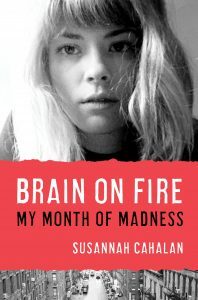 I’ve never devoured a non-fiction title this quickly – or thought about one quite as much – but Susannah Cahalan’s narrative makes you feel like you’re both awake and dreaming all at once. Because really – this is the stuff of horror movies (seriously, the symptoms are often confused with demonic possession). 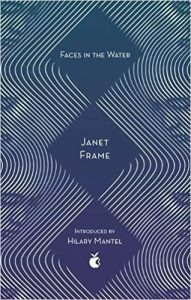 I first found Faces in the Water on a shelf in Foyles two summers ago. I started reading it on the train home and I vividly remember wondering if the passengers around me had any idea that the book in my hands was so explosive. Faces in the Water is based on the eight years that Frame spent in multiple psychiatric hospitals in New Zealand after being incorrectly diagnosed with schizophrenia. This novel, written at the frontline of madness, is equal parts lyrical and devastating; I love this book so much I wrote my dissertation on it, and have now decided to re-read it every summer as a ritualistic reminder of its importance. I typically read two books at a time (somewhat blasphemous, I know); one fiction, one non-fiction. Why I’m No Longer Talking to White People About Race has been a high priority on my to-be-read list for a while now, and I’m so glad that I finally turned the first page on my commute a couple of days ago. Reni Eddo-Lodge’s discussion of British race relations is eloquently written and urgent in its subject matter, and I already know that it’s the kind of book that will remain embedded in my consciousness long after the final sentence. I’ve been eyeing up What a Time to be Alone for a while now, and it is without doubt next up on my non-fiction TBR pile (that is, if I can prise a copy off someone else in the office). Chidera exudes charisma like a volatile substance, and I can’t wait for her words to coach me through everything from toxic friendships to re-evaluating my self-worth. In the words of Trixie Mattel, Chidera is a legend, icon, STAR. Thank you so much for reading and be sure to tweet us @AgoraBooksLDN if you’re going to read any of the books featured in this post (or if you already have!) We love hearing your thoughts, and if there’s one thing we always want to talk about, it’s books.